The Story Behind The Worst Measles Outbreak In The European Union : Goats and Soda Europe is experiencing a record outbreak of measles, a disease that has been vaccine-preventable since 1963. And in the EU, Romania is ground zero. Liliana Czegledi holds a photo of her daughter, Ioana, at her home in the village of Sînandrei in western Romania. Ioana was just shy of her 10th birthday when she died of complications from measles. She could not be vaccinated because she had a compromised immune system. 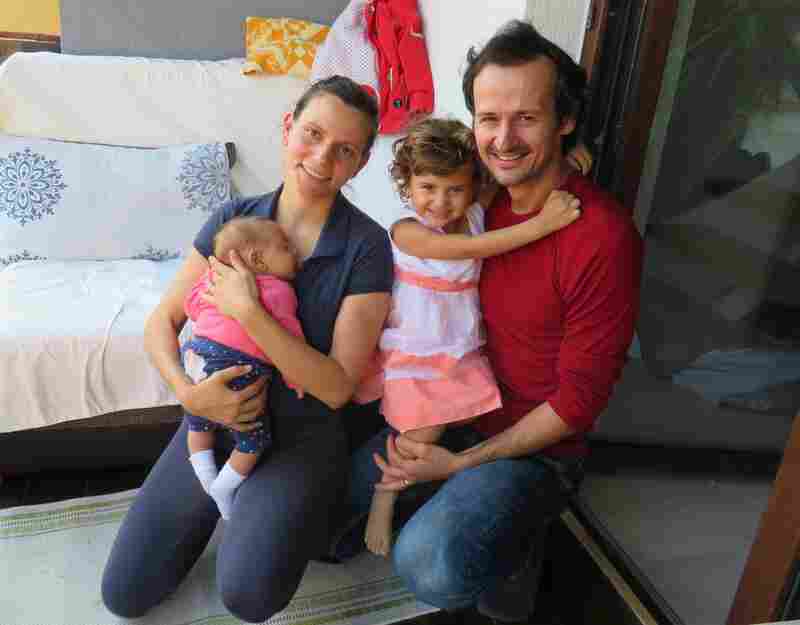 Liliana Czegledi devoted herself to keeping her daughter, Ioana, alive. The girl had been born with a compromised immune system, a damaged heart and muscles that wouldn't work. She wasn't expected to live past her second birthday. Czegledi gave up her bartending job to care for her. "I made sure she never caught a cold because the doctor said a cold could kill her," recalls Czegledi, 50, at her home in the village of Sînandrei in western Romania. "I only brought her into the hospital when it was absolutely necessary." Like last spring, April 2017, just a month before Ioana was to turn 10. Her mother had driven the girl to the pediatric hospital in the nearby city of Timisoara because she was badly dehydrated. After Ioana came home, she broke out in spots. "She was also throwing up her food; she was throwing up blood," Czegledi says, her voice hoarse with emotion. "I immediately called the ambulance." Ioana had contracted measles in the hospital. She had never been vaccinated because vaccines carry bigger risks for those with compromised immune systems. 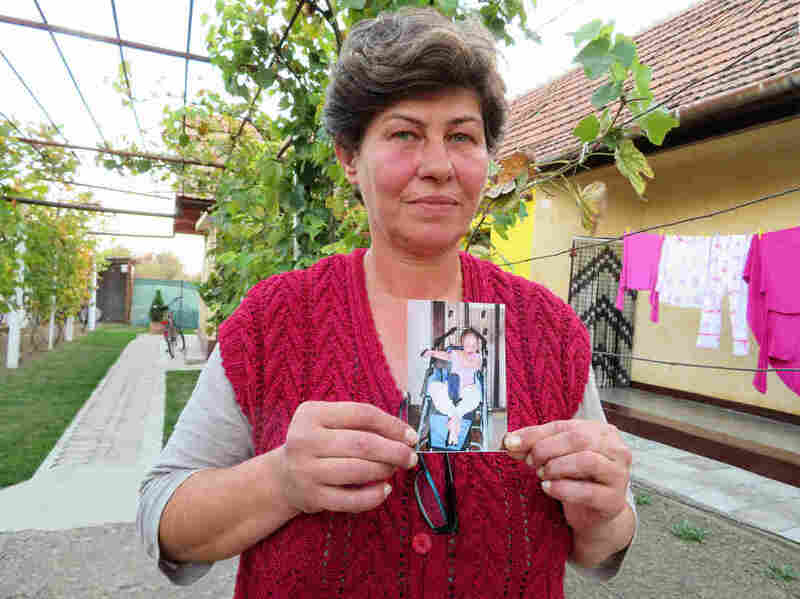 The girl was one of 59 Romanians, many of them children with compromised health, who have died since the measles epidemic began here in 2016. Measles is a serious disease in poor countries, which account for most of the 173,000 infections recorded globally in 2017. "In Europe, we have the resources and the capacity and the vaccines to eliminate measles," says Dr. Mike Catchpole, chief scientist at the European Centre for Disease Prevention and Control. "So it is enormously disappointing that we are continuing to see significant outbreaks here." The ECDC has recorded nearly 33,000 measles infections in the 28-member European Union since 2016. About half were in Romania, according to the National Institute of Public Health in Bucharest. "The people who are susceptible to measles exist in every single country," says Dr. Dragan Jankovic, an infectious diseases specialist at the World Health Organization. "Importation of the virus is something that's not avoidable. The only way to protect a population from outbreaks and disease is to immunize your own population in the country." Adriana Pistol, a medical epidemiologist, had warned in 2015 that an epidemic was coming. She directs the National Centre for Surveillance and Control of Communicable Diseases in Romania, part of the National Institute of Public Health. Few listened. That year, only four measles cases were reported in Romania. The World Health Organization seemed confident that the disease was under control in Europe. But Pistol noticed that vaccination rates were dropping. "Measles is [one of] the most contagious diseases in the world, so it's very, very quickly transmitted," Pistol says, speaking from her office in central Bucharest, gripping a blue mug that reads "Big Boss," a gift from her devoted staff. The virus — transmitted through coughing, sneezing or contact with infected secretions — can linger in the air. So vaccines are an essential tool. "Vaccination coverage against measles has to be very high, at least 95 percent if you really want to not have any outbreaks," Pistol says. Before the measles, mumps and rubella vaccine was introduced in 1963, WHO estimates that at least 2.6 million people died of the disease every year. In Romania, health officials attribute the outbreak to various factors, including a lack of awareness of the need to vaccinate in impoverished rural communities plus an erratic supply of vaccines that sometimes didn't reach mobile populations such as the Roma. 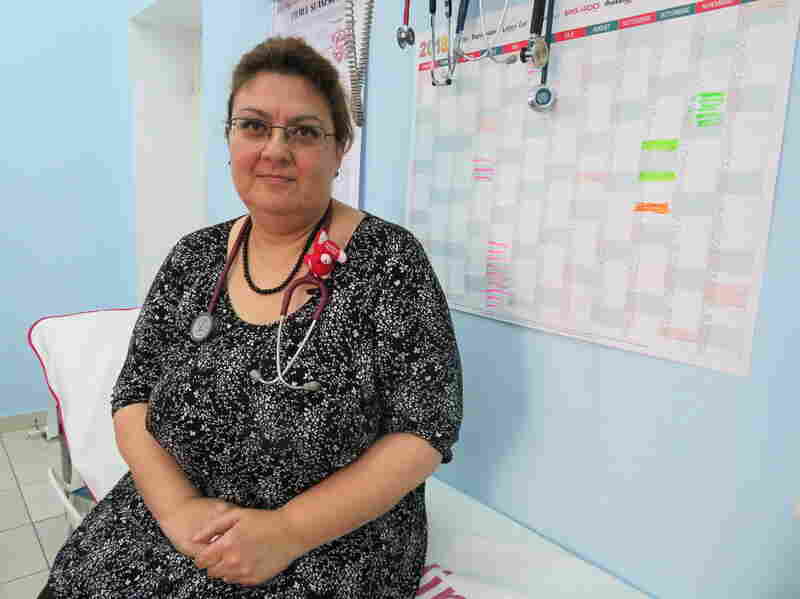 But physicians such as Sandra Alexiu, a family doctor based in Jilava, a town outside Bucharest, suspect an anti-vaccine movement and a lack of faith in state institutions have significantly worsened the epidemic. "I've had parents coming in who have read on social media that vaccines are made from mercury, that they're made from fetal cells, that vaccination is part of an international conspiracy to lower the population," Alexiu says, sitting in her sunny office under a clock that reads, in Romanian: Ask a Doctor, Not Doctor Google. Alexiu has heard of people in rural areas treating measles by drinking cabbage juice or rubbing moonshine on the spots. Some even believe they can ward off the disease by wearing red scarves. "We have to learn about the myths and how to answer every myth," she says. "We try to explain to every parent that these are wrong and you have to know what's right." When Romania's outbreak was at its peak last year, Alexiu advised other doctors to talk to as many patients as possible about the importance of vaccination. She reminds patients that her own son is vaccinated. "All my patients have known him since he was a baby," she says, pointing a framed photo of a smiling little boy in a bow tie and jacket. "That's an old photo. He's not so little anymore. He's 12 now." Alexiu has managed to convince many parents that vaccines are safe with this personal touch. But doctors can't reach everyone, especially those swayed by another force on social media — the anti-vaxxers. "They say, 'OK, myself and my grandmother and my mother had measles, so what?' " Pistol says. "Look at us, we are smart and nice. So natural is better." Some are followers of self-styled celebrities with an interest in health, like Olivia Steer, a former TV anchor. Steer, who promotes junk science linking vaccines to autism and cancer, has tens of thousands of followers on Facebook and has been featured on news programs. Other anti-vaxxers are skeptical of modern medicine. Lavinia and Dan Onica, who engineer self-driving cars and live in a leafy suburb of Timisoara in western Romania, say they believe doctors are trained to treat individual ailments rather than "the whole person." Dan and Lavinia Onica with their son and daughter at their home outside Timisoara, Romania. The couple says they researched vaccines and ultimately decided they would do more harm than good to their children. "We believe we made an informed decision," says Dan. They believe that good nutrition will stave off most diseases and that vaccines do more harm that good. "All the toxic substances that they use and the way they make your body react, that was scary for us," Lavinia says. "And we didn't want to take the chance to risk our kids' healthy life." She says that her family has even considered leaving Romania if Parliament passes a law making vaccinations mandatory. Dr. Ioana Budiu, who has a family practice in Timisoara, says many staunch anti-vaxxers just stop showing up for checkups. "And I don't have the opportunity to talk with them and to ask about their fears," she says. "If you try to explain how many people get the disease from one person, then they start to listen and to understand a little bit. But you need a lot of time to talk with them." Budiu has noticed that parents in her practice who are pro-vaccination are helping spread the word. Physical therapist Sebastian Miron reminds his friends that babies (who aren't eligible for measles vaccinations until they're close to a year old) are susceptible to disease from unvaccinated kids. "I would be very stressed or mad if my child would get something from an unvaccinated kid," says Miron, stroking his son, David, as the infant gets his first round of shots in Dr. Budiu's office. David cries after the pinch of the shot, then gets distracted by a stuffed toy banana. Across town at Timisoara's infectious diseases hospital, Dr. Virgil Musta is thrilled to hear that some Romanians are promoting vaccines to friends and neighbors. He never wants to see a repeat of what he saw last year, when part of the hospital where he works turned into a grim measles ward. Eight children died. Musta still remembers the first one, a little boy, 8 months old, born with multiple birth defects and abandoned at another hospital. "He was a nice boy with brown hair," Musta says. "He only weighed as much as a newborn ... He came in with sepsis." It's the same hospital where Ioana, the 10-year-old daughter of Liliana Czegledi, died last April. Czegledi watches the neighborhood children play outside her front yard. Her own daughter could not eat or walk on her own. She would push the girl's wheelchair around the yard. "And I'd sing her favorite song, the one about the ducks," Czegledi says, referring to a local children's song about a duckling looking for her mother. "She'd laugh so much and smile. I wanted her to feel good." She wipes away tears and pulls out a photograph of Ioana, a rosy-cheeked girl with feathery blond hair. In the photo, she's laughing as she sits in an oversized, custom-built stroller. "I took her to the hospital to help her," her mother says. "And we brought her home in a coffin." The latest data shows that measles vaccination rates in Romania for children up to 2 years of age has climbed to 90 percent because of outreach efforts by doctors and a nationwide campaign promoting vaccination. But Adriana Pistol, Romania's chief epidemiologist, isn't celebrating. Politicians, who are afraid of the anti-vaxxer voting bloc, have shelved a bill to make vaccinations mandatory. She's predicting another outbreak. Octavian Coman is a freelance journalist based in Bucharest, Romania.